Galaxy S8 manual has specially to guide you the functions and features of your Samsung Galaxy S8. You can download or read the Samsung S8 user manual in PDF here. In this document, are contains guidance and demonstrations on everything from setting up the device for the first time for users who still didn’t understand about the basic function of the device. This Galaxy S8 manual instructions includes full instructions for how to use your device. If you’re looking for a traditional manual, this is it. All available editions of the Samsung Galaxy S8 user guide in PDF formats. All of this owners manual can be used also for Samsung Galaxy S8+ (SM-G955F and SM-G955FD). NOTE: For open or reading this Galaxy S8 manual, your computer need Adobe Reader. You can get the Adobe Reader for free by going here http://get.adobe.com/reader/. Samsung Galaxy S8 is Android smartphones produced by Samsung Electronics as part of the Samsung Galaxy S series. Unveiled on 29 March 2017 during a media event in New York City, they will be released in April 2017. Samsung is to launch two models of the Galaxy S8 this year. The new Galaxy S8 powered by 2.35GHz octa-core for high-performance and 1.9GHz for low power. 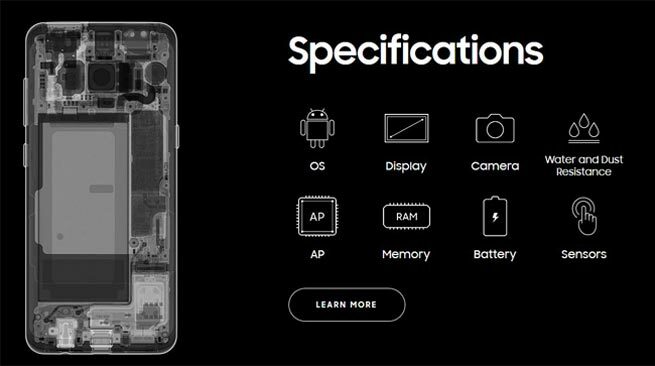 The Samsung S8 comes with 4GB of RAM. The phone packs with 64GB of fast UFS 2.1 storage, that can be expanded up to 256GB via a microSD card. Samsung S8 features a 5.8-inch Super AMOLED Quad HD+ display with an extra wide aspect ratio of 18.5:9, the Samsung S8 have the (1,440 x 2,960px) resolution. Also notice the rounded corners of the screen. Iris recognition has added to this facial recognition as well. 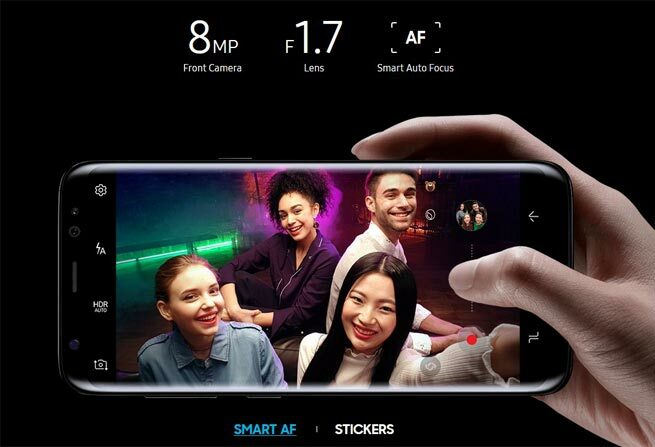 Samsung Galaxy S8 packs a 12-megapixel primary camera on the rear and a 8-megapixel front shooter for selfies. The f1.7 lenses have Smart Optical Image Stabilization, Real-Time HDR mode and other features for taking great photos. Samsung says that the Galaxy S8 will still take better photos thanks to a variety of under the hood software improvements and a new multi-image processor. The Samsung S8 will be ships with Android 7.0 and the company’s new Samsung Experience skin and packs by a 3,000mAh battery will be feature Samsung’s Adaptive Fast Charging. The new Galaxy S8 will launch in Midnight Black, Orchid Gray, Arctic Silver, Coral Blue and Maple Gold. 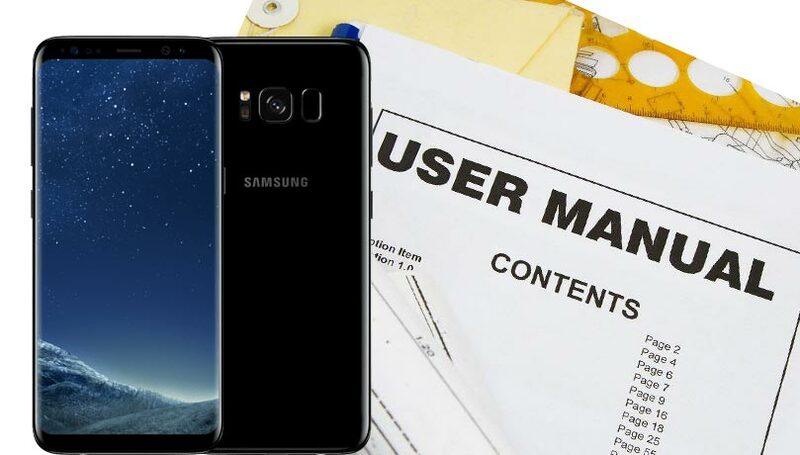 In case you are a new user of the Samsung Galaxy S8 or someone who has always used it, you may always find it necessary to look for a user guide. Hope the Samsung Galaxy S8 manual PDF above can solve your problem with your new Samsung S8. I have ordered an unlocked S8, which manual should I use? AT&T or something else? not meaning to be rude but why can’t i find a button on this page to download the user manual in pdf? i get so tired of wasting time linking from a search engine for something specific only to find ive been sent on a merry goose chase. would be nice if when you say PDF you meant it.